Have you ever thought your parents where assholes, jerks, unfair even a villain, well what if your parents where super villains? How would you turn out? In 2003 Brian K Vaughn and Adrian Alphona asked that question. As with many of Brian’s ideas they stemmed from a childhood thought, what if your parents where the bad guys. This is a good question, what if The Wayne’s, Uncle Ben and The Kent’s had not of been the upstanding moral people they were, would their wards have grown up to be the heroes we know and love. Would they have known that with great power comes great responsibility? 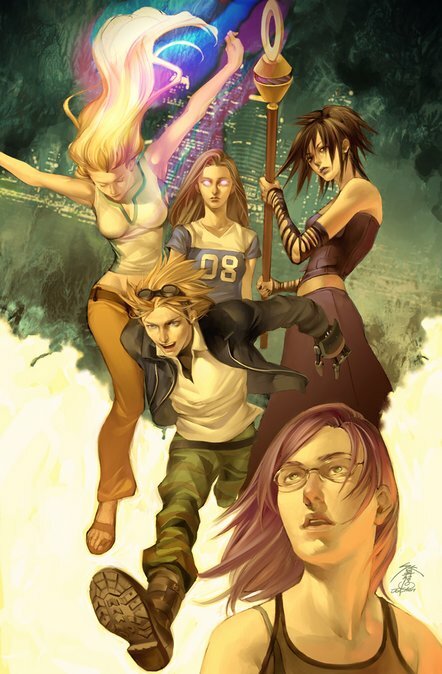 Originally part of Marvels Tsunami print, which was designed to draw in fans of manga and anime, this series drew in quite the following, even Joss Whedon became a devoted fan. Sadly since 2009 the series has been on Hiatus but there are still plenty of issues out there to read and many of the characters have appeared in other marvel series, two are currently appearing avenger’s arena. To some up why I love the series so much I will need to tell you a little more about it. 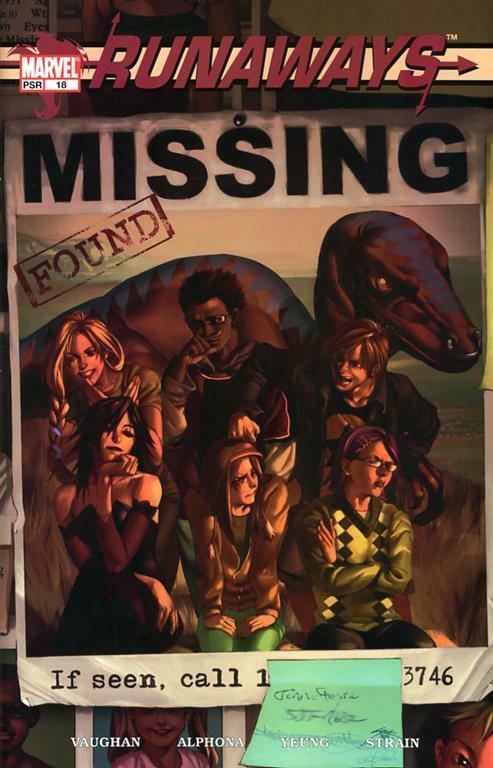 The series is in its early days was all about teenage rebellion, namely that of Alex, Gert, Karolina, Chase, Molly and Nico. 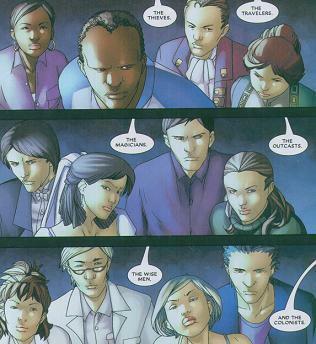 Every year the main characters parents would get together for a charity event, we find out early on that the parents are actually a group of evil super villains called the Pride. The Pride have held control all of the Los Angelous area and have avoided detection by the Avengers for many years because they ruthlessly ended anyone who would cause to much of a fuss before the authorities took notice, they also control local government, police and business interests. This leaves the Pride in a very powerful place. 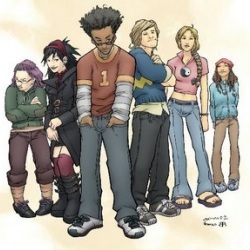 Geoffrey Wilder and Catherine Wilder – The Thieves are Alex Wilder‘s parents. They are crime bosses who posed as business people. Dale Yorkes and Stacey Yorkes – The Travelers are Gertrude Yorkes‘s parents. They are time travelers who posed as antique dealers. Frank Dean and Leslie Dean – The Colonists are Karolina Dean‘s parents. They are alien invaders from the planet Majesdane, who posed as Hollywood actors. Gene Hayes and Alice Hayes – The Outcasts are Molly Hayes‘s parents. They are both telepathic mutants who posed as a doctor and a speech therapist. Robert Minoru and Tina Minoru – The Magicians are Nico Minoru‘s parents. The two are dark wizards who posed as an average, church-going, middle-class couple. Get gets a velociraptor which she has a psychic connection with, seriously how awesome is that. Chase steels a pair of X-Ray goggle (which he uses very quickly) and flame producing gloves from his parents. Karolina figures out how to use her powers. Molly accidentally activates her at that point dormant mutation, which results in her being stronger than the Hulk. Alex relies on his mind to outsmart their parents. So it’s a great mix of teenage rebellion and sins of the father, definitely worth a check.